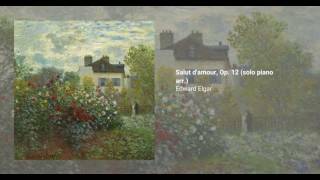 Sir Edward Elgar wrote Salut d'Amour, op. 12, in 1888. He originally conceived the work for violin and piano, and titled it Liebesgruss ('Love’s Greeting'), because of his fiancee's fluency in German. He presented it to her as his engangment present. The dedication on the score was written in French: "à Carice" (a smart combination of Elgar's wife name Caroline Alice, and the name to be given to their daughter). Schott & Co. published the work, which initially sold poorly. The publishers then changed the name to Salut d'Amour, keeping Liebesgruss as a subtitle, and stylizing Elgar's name as Ed. Elgar. Thsi movement helped sell the score all over Europe. The first performance of the work was in its orchestral version, in 1889. 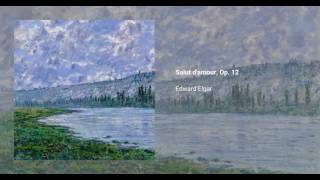 Since then it has become a favourite in Elgar's repertoire, and it has inspired a great number of versions and similar pieces.